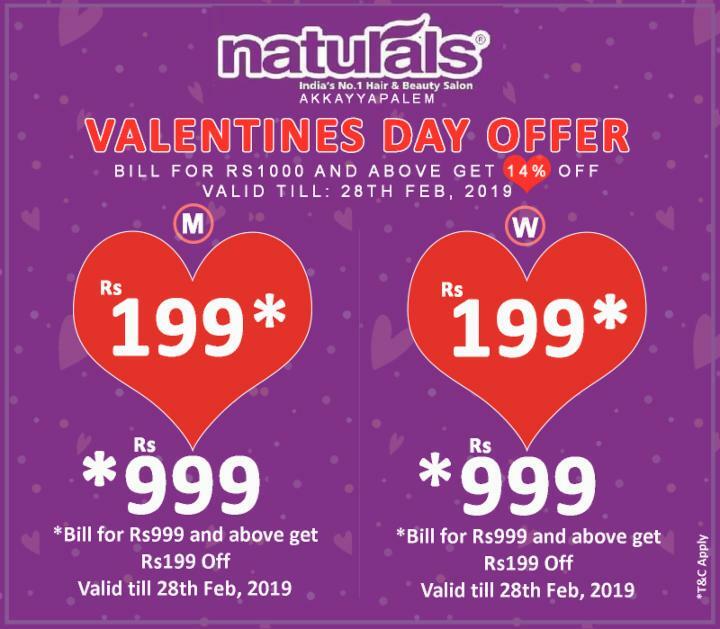 Exclusive Valentines Day Offer at Naturals Salon Akkayyapalem. 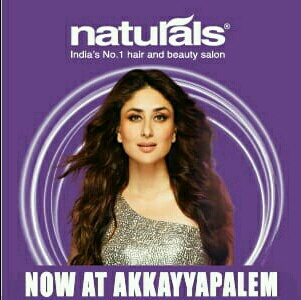 Bill for Rs 1000 and above and get 14% Off on All Services. Valid till 28th Feb. 2019. Also get Rs 199 Off on Minimum Billing of Rs 999 on your Second Service. Valid till 28th Feb. 2019. HurryUp! Claim this deal now. Show the QR Code or SMS at Store to get this Offer.